Permissible Temp For With/Without Load: -20 deg. C to +85 deg. C.
Permissible Temp For Soldering: 270 deg. C for 5 sec. max. H. V. Breakdown Test: 1 KVAC For 1 Minute . Electrical Life: 10000 Cycles Min. 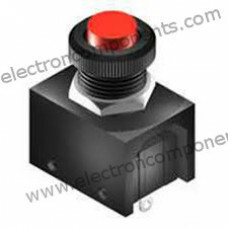 Contact & Voltage Rating: 4 A, 250V AC .